We define easy this way: a Monessen vent free stove. There is truly no easier way to add a real flame heating appliance to your home than a vent free gas stove. Set the stove where you want it, attach your gas line and you are done. Fast and easy to install, bountiful heat even during a power outage, the beauty of a real flame. What more could you want? 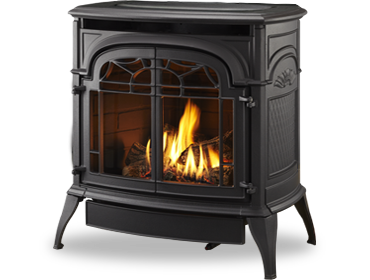 The Sundance vent free cast gas stove is the perfect way to add efficient, abundant heat to nearly any space. Visit a local dealer today.